Let’s break the ice here: 100% of people die. There, I said it. It’s an unfortunate but unavoidable part of life. If we can openly acknowledge that fact then the whole idea of estate planning will be much easier to appreciate. Roughly 60% of Americans will die without a will. Why is this number so high? There may be some misconceptions about what a will is really for. Popular culture seems to show wills as a document only used by the wealthy to distribute their endless sums of money to some distant relative. Hey, that’s a good story but it’s not all that realistic. In fact, some of the most important provisions of a will don’t involve money at all. 1. Without a will, the court will determine how your assets are to be distributed. 2. Without a will, the court will determine who gets custody of your minor children. As with assets, the government and the courts have a process for determining who gets a decedent’s minor children. This is HUGE! The probate system is very unlikely to know what is best for your children. A will allows you to choose who should get custody of your children. Further, a will can specify who you don’t want to get custody of your children. Don’t trust the court’s method for determining who could possibly be raising your children. With a will, you can call the shots. 3. A will can help minimize estate taxes. By allowing you to choose how to distribute your assets, it allows you to reduce the taxable value of your estate. This will, of course, reduce the amount of estate taxes and increase the amount of your assets that go to loved ones. 4. Wills allow you to make charitable gifts or donations. Many people like the idea of donating some of their estate to some sort of charity after they pass. Not only can this be personally satisfying, some donations can even help reduce the amount of your taxable estate. 5. A living will makes known your wishes regarding life-prolonging medical treatments. This has been the subject of lots of discussion lately. A living will allows you to specify your wishes regarding life-prolonging medical treatments. More and more people are opposed to the idea of being kept alive on machinery in an incapacitated state. With a living will you can relieve your family of the responsibility to make these difficult decisions on your behalf. 6. You can’t disinherit anyone without a will. It can be a touchy subject but it’s not all that uncommon to have fall outs within families. With a will, you can address particular people and leave them with less or more than others. Without a will, it is very possible that your assets or even your child’s custody could go to this person. 7. A will helps avoid a long probate process. Whether there is a will or not, your estate will have to go through the probate process. With a will, however, this process is much smoother. By creating a will, you’re basically giving everyone a road map to follow. Less time fighting in probate is a good thing all the way around. In terms of legal documents, there isn’t really anything cheaper. For $100 dollars you can protect your assets, your family, and much more with an attorney-drafted will. 9. It only takes about an hour to execute a will that will last forever. We all spend hours on stuff that is relatively unimportant in the whole scheme of things. Don’t be fooled into thinking this is a big process. One hour spent creating your will can offer a lifetime (and beyond) of security for you and your loved ones. 10. Wills are not set in stone – they can be very easy to change. A will can always be changed. In fact, a will can be set up so that certain things can be changed without even having to leave your home. Overall, the main benefit of having a will is about feeling comfortable with what happens to your assets, children, and family when you’re no longer there. 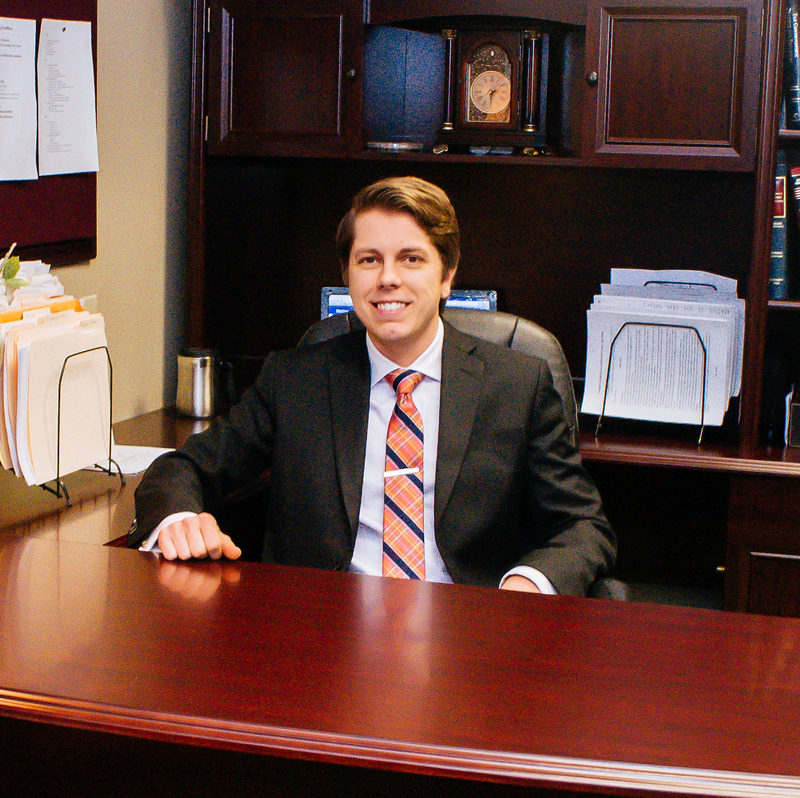 Attorney Chris Newberg can help you create a legally binding will that establishes with clarity all of your wishes. For $100 and one hour of your time, Chris can help create a sense of comfort and certainty regarding the future of you and your family.